It is expected that the new rules of origin that will be implemented under the United States-Mexico-Canada Free Trade Agreement (USMCA) will bring growth to the automotive sector in Mexico. Most industry watchers believe that new rules of origin for the automotive sector in Mexico will open the door to new manufacturing investment and human capital development. Under the new trade agreement, automobiles will only be considered originating in North America and tariff-free if 75% of their components are manufactured in the North American region that includes the United States, Mexico, and Canada. This figure is significantly higher than the previous content rule which was set at 62.5%. According to experts in Mexico such as Oscar Albin, President of the country’s Association of Auto Parts manufacturers, the new origin rules may make now the best time for companies to invest in the automotive sector in Mexico. Increasingly, it will be necessary for vehicle assemblers that are present in the country to source raw materials and components from within the trading bloc. At first, it will be a challenge for companies to achieve 75% content in Mexico and the rest of North America, but, as time goes on, this will represent a great opportunity for companies that are manufacturing in the automotive sector in Mexico. Those that choose Mexico will have access not only to an advantageously priced workforce but will also be able to export their products to the United States and Canada duty-free. The purpose of the new rules of origin for the automotive sector is to strengthen North American suppliers’ position against that of European and Asian automotive suppliers. For this reason, individuals such as Albin believe that a large percentage of new investment in the automotive sector in Mexico will come from companies that have their headquarters in those two regions. In addition to Mexico, Albin is of the opinion that the southern part of the United States may be a good option for some overseas manufacturers. He sees that region of the US as Mexico’s main competitor for automotive investment. Due to the fiscal reform under the administration of President Andres Lopez Obrador, the border region will be an attractive area for investment in the automotive sector in Mexico. Within a twenty-five kilometer strip of land along the entirety of the United States – Mexico border, the country’s value-added tax or IVA has been lowered from 16% to 8%, while corporate income tax in that area has been reduced from 30% to 20%. Lopez Obrador has described this area as the largest free zone in the world. He believes that these incentives will result in more investment and job creation in the automotive sector in Mexico. In addition to the border-free zone, Mexico has such duty-free areas in another eight states. These were established during the administration of Enrique Pena Nieto. 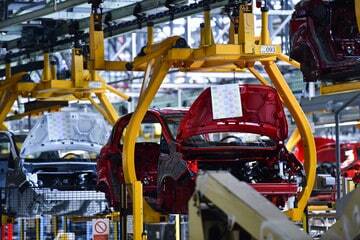 Over the years, the automotive sector in Mexico has grown at a steady pace. Today the country is the second largest passenger vehicle producing nation in the hemisphere. In 2017, the automotive sector in Mexico had an output of approximately 4 million vehicles. The reader is invited to review our Blog at https://tecma.com for further articles dealing with automotive manufacturing in Mexico.